Welcome to Believers' Academy — an exclusive benefit for Partners! Believers’ Academy is an online learning center with video courses tailor-made for today’s busy lifestyle. Learn what you want, when you want and take your faith to the next level. The best part is, the lessons here are free! To continue to get full access, consider becoming a KCM Partner. Curious about Partnership? Click here. Want to become a Partner today? Click the ‘Yes’ button below the video. Yes! I want to become a partner! We're adding new Believers' Academy courses and lessons regularly, so be sure to check back often for the latest. Topics include faith, finances, relationships, healing and much more! Need a breakthrough? 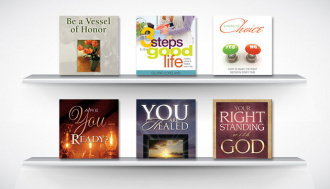 Choose from dozens of books to download, enjoy and put into practice! 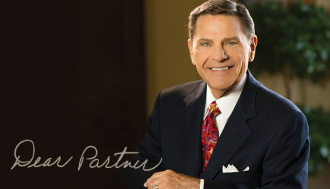 Read Kenneth Copeland’s latest monthly letter to Partners and be blessed by the life-changing Word inside! 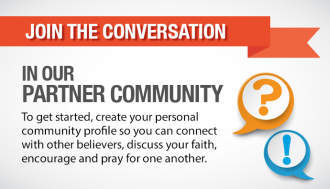 Connect with other Partners, join groups and grow together in a safe, Christian community just for you!